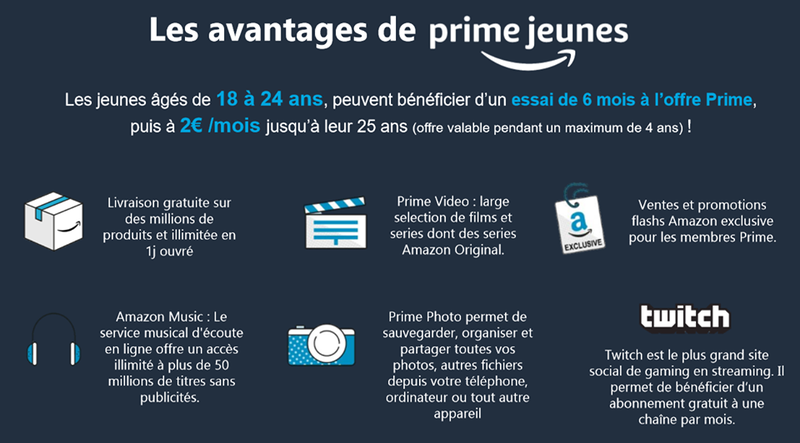 Tu as entre 18 et 24 ans et souhaites profiter d’une offre Amazon Prime gratuit pendant 6 mois tout en aidant une association humanitaire ? Pour cela, inscris-toi ici => amazon.fr/intervenirtelecom et profites de 6 mois d’essai à l’offre Prime Jeunes d’Amazon ! Ton inscription rapportera 3€ dans la cagnotte de l’association INTervenir. Et à la fin du challenge, l’association qui aura récolté le plus d’inscriptions doublera sa cagnotte !! Throughout this grand pattern of things you’ll receive an A+ with regard to effort and hard work. Where you confused us was in all the specifics. You know, people say, the devil is in the details… And that couldn’t be much more accurate right here. Having said that, permit me tell you precisely what did deliver the results. Your authoring is definitely extremely engaging and this is possibly why I am taking an effort in order to comment. I do not really make it a regular habit of doing that. 2nd, whilst I can certainly notice a jumps in logic you come up with, I am definitely not sure of exactly how you appear to unite the details which in turn produce the final result. For right now I shall subscribe to your point but trust in the future you link your facts much better.